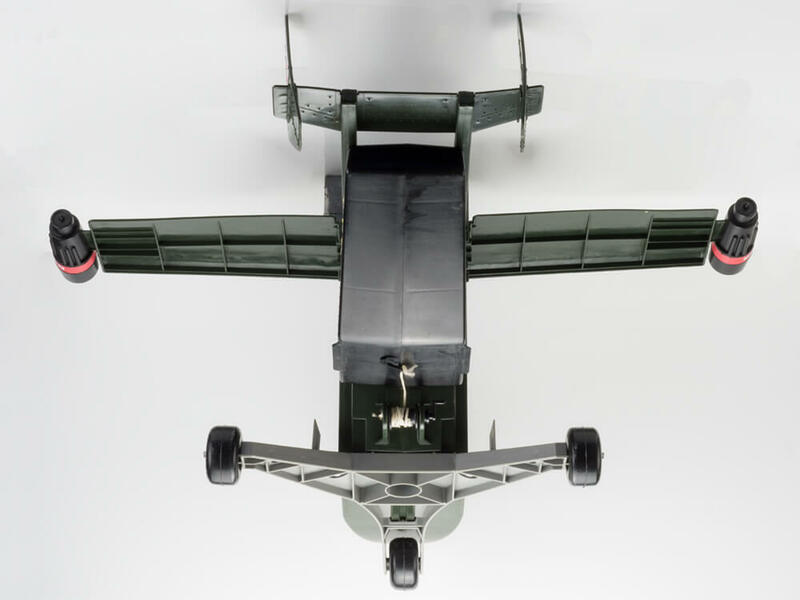 "An exciting new vehicle with four conversions. 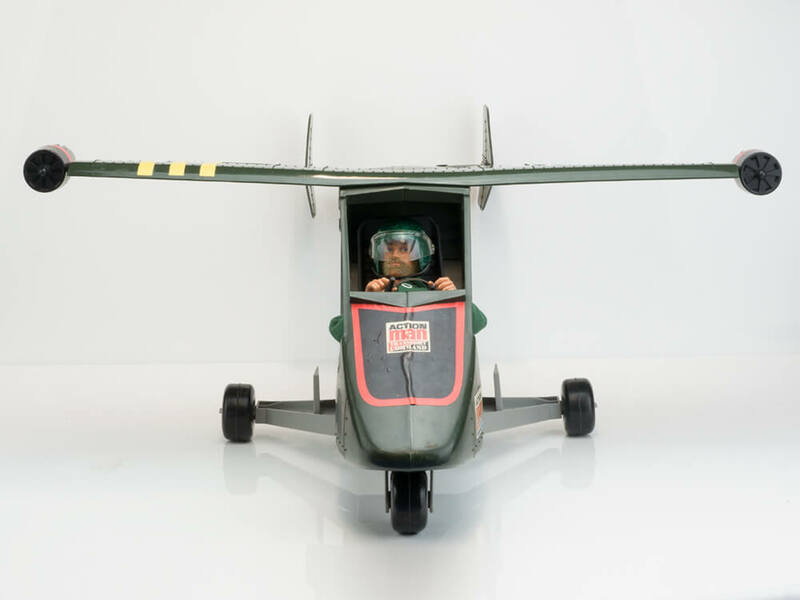 Seaplane, land car with tricycle undercarriage, VTOL plane or boat. 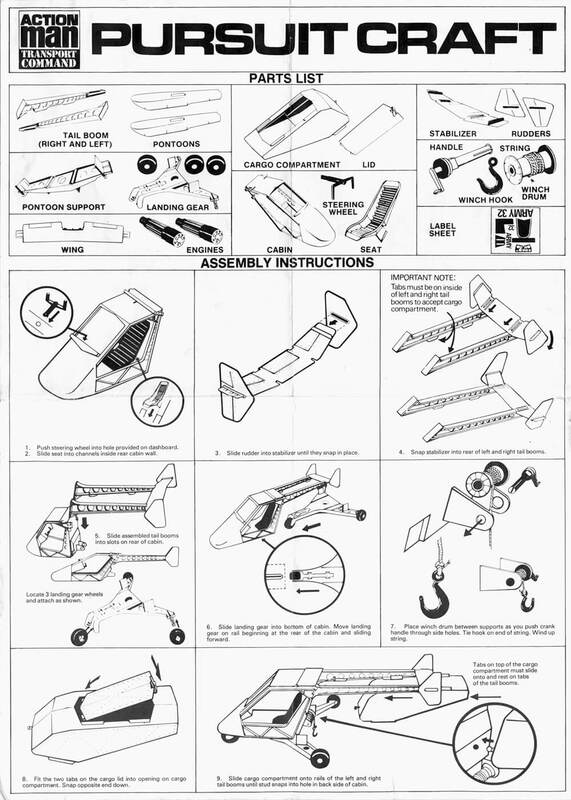 Easy to assemble and convert". 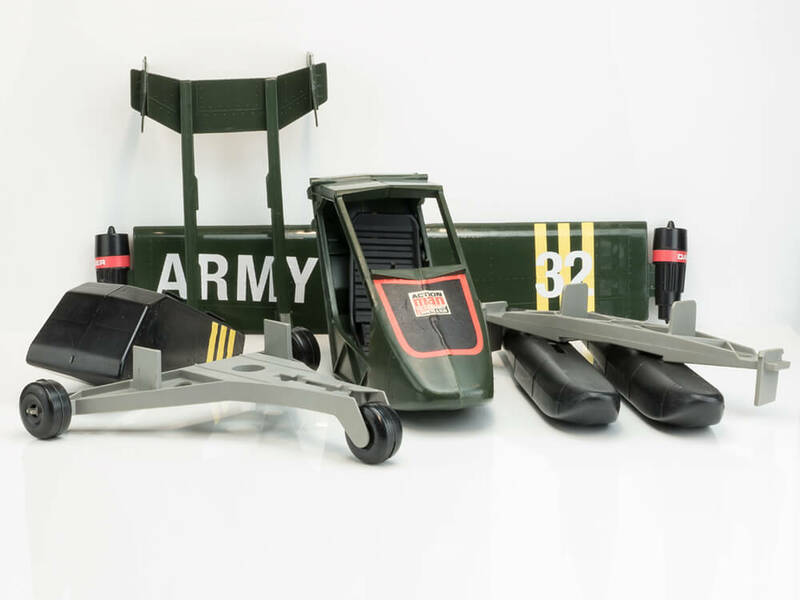 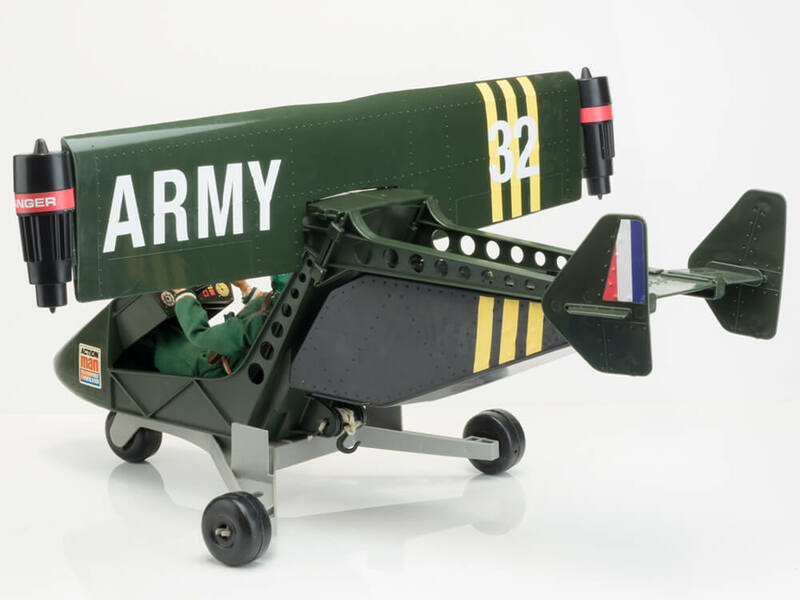 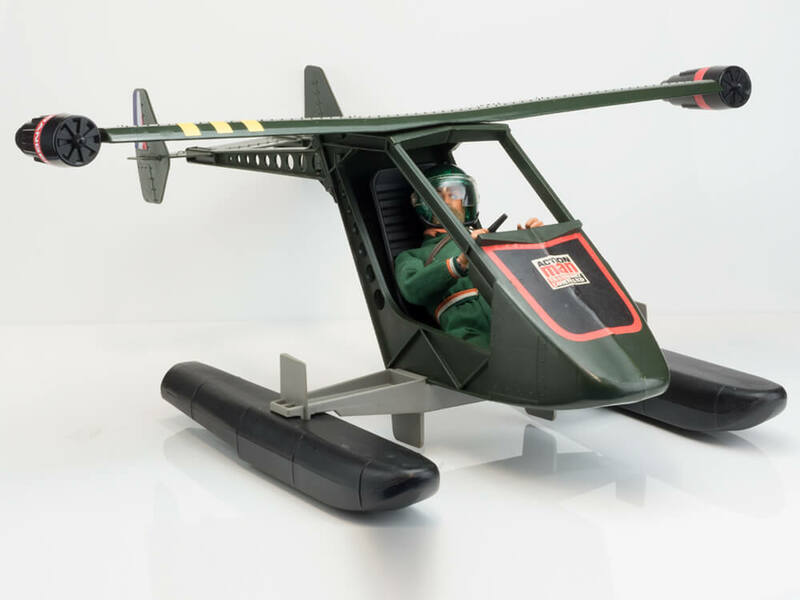 This Hasbro	designed	Action Man 'Transport Command' Pursuit Craft could be reconfigured into a few military vehicles thanks to swappable parts like floats (or 'pontoons'), tilting VTOL wing, cargo compartment and tri-wheeled undercarriage. 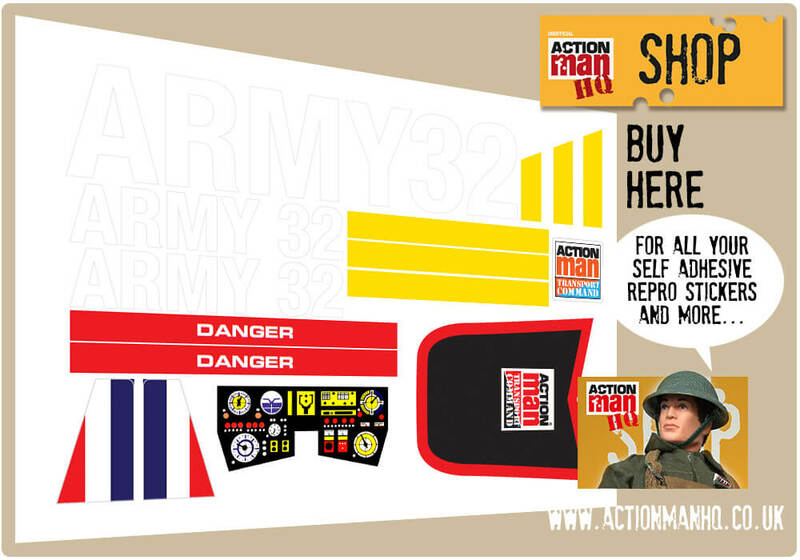 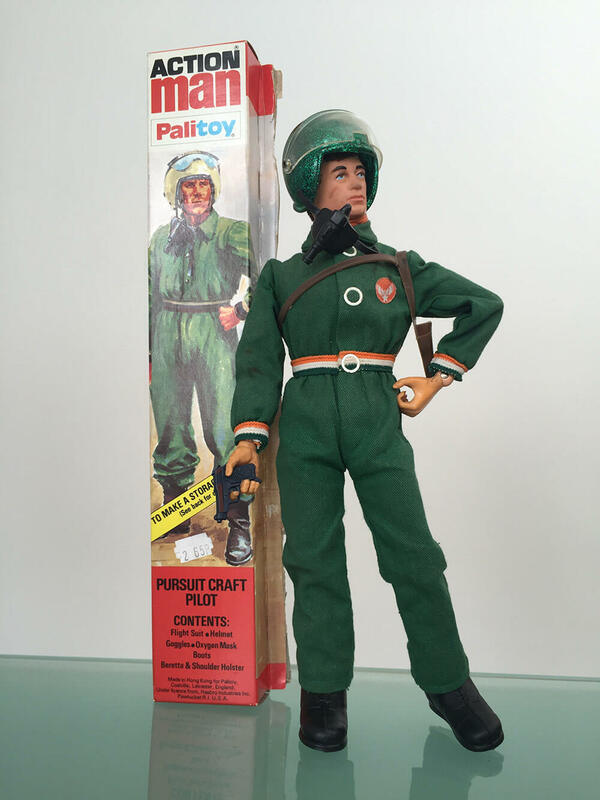 A popular and common Action Man Eagle Eyes accessory. 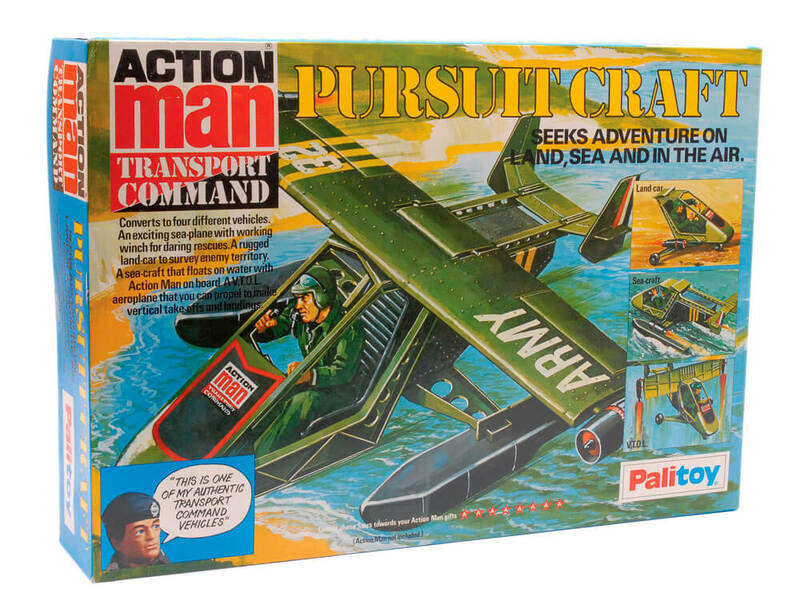 A separately available Pursuit Craft Pilot complemented the set up, also available from 1978. 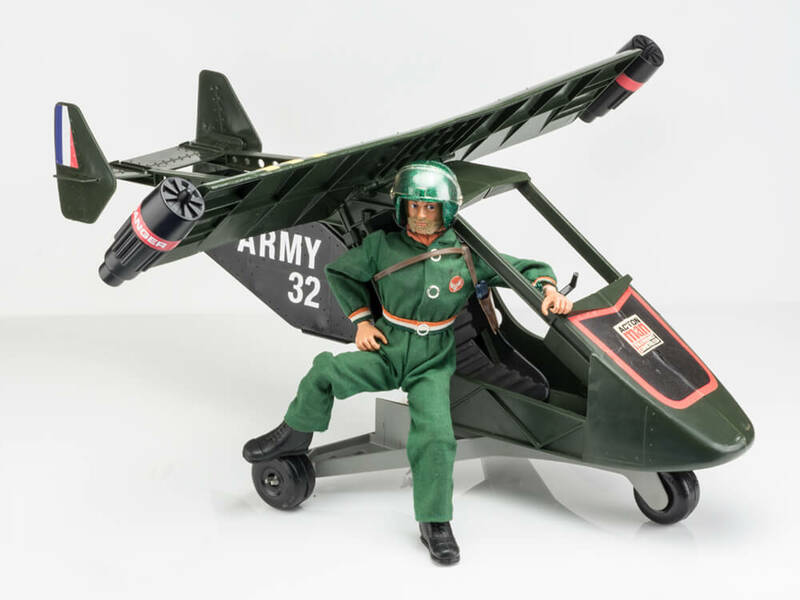 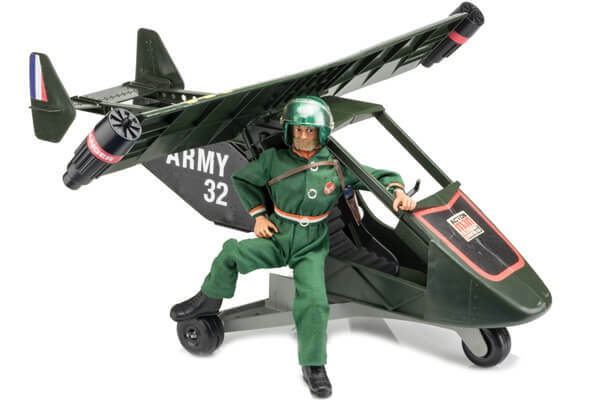 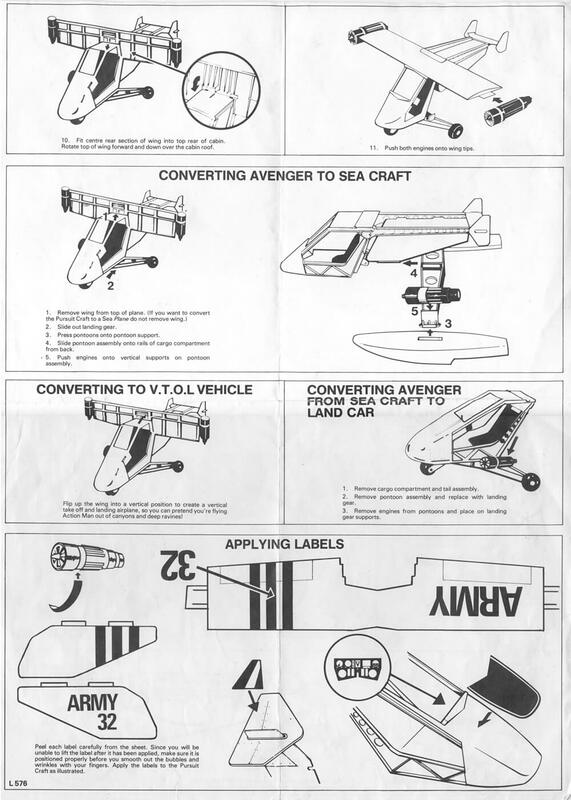 As the Action Man Pursuit Craft is in the last Equipment Manual of 1981 it would suggest it was available towards the end of production c.1983. 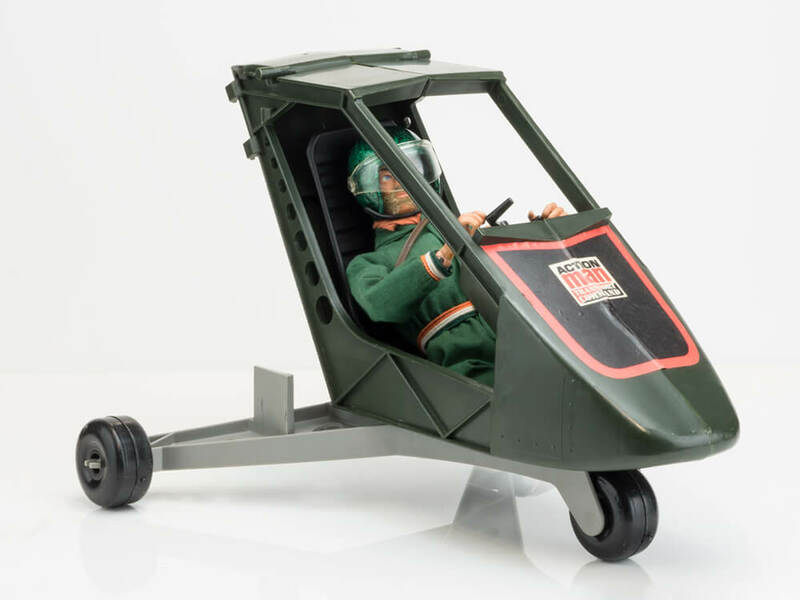 This Hasbro-designed vehicle is common and is fairly robust too - not many are broken beyond practical use. 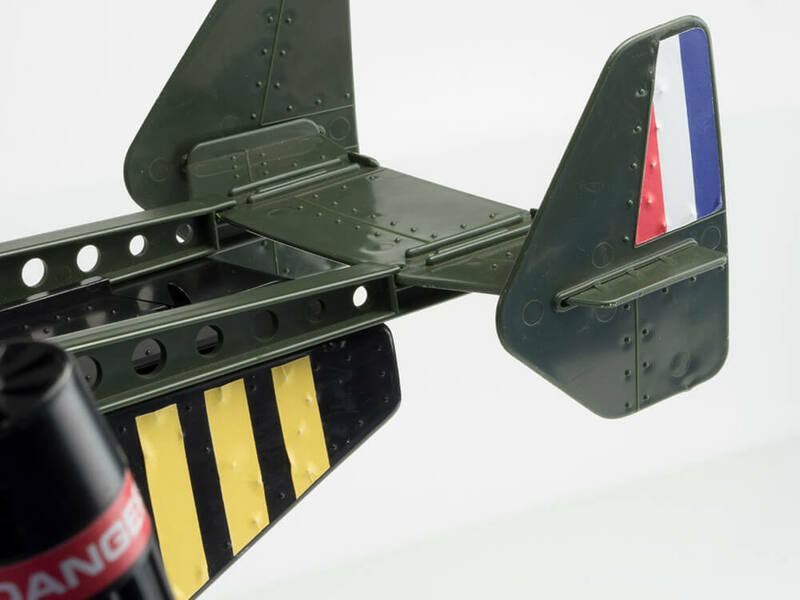 The cargo compartment lid catch and lid can sometimes be missing as can the winch handle or hook. 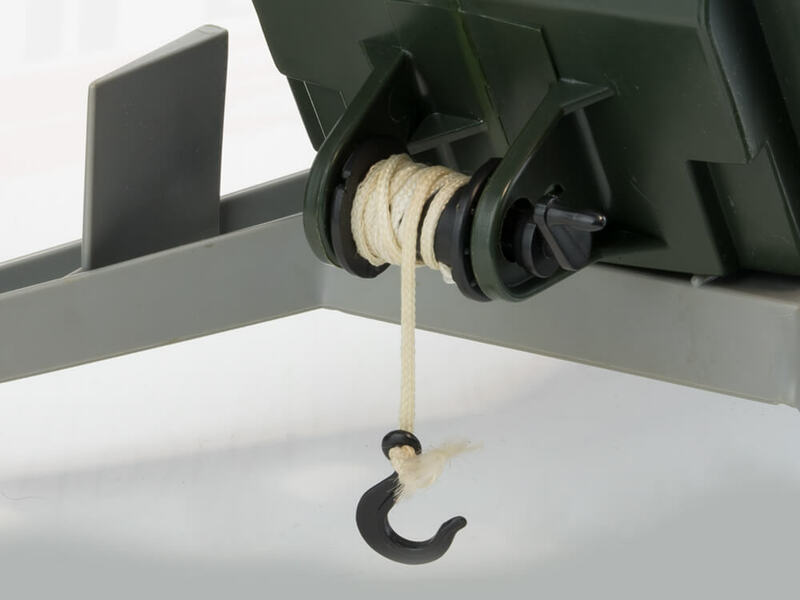 The sea craft twin floats and pontoon support do not attach particularly well as the other components, which cleverly slide together well. 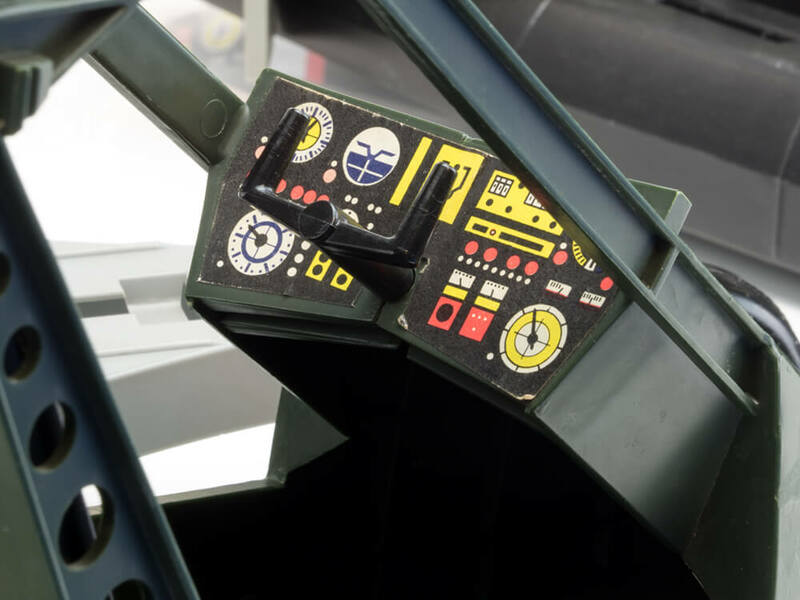 The sticker placement can be sometimes less than perfect if a child has decorated the craft themselves, but this can add to the charm (Buy a full set repro stickers here if you need to restore your craft). 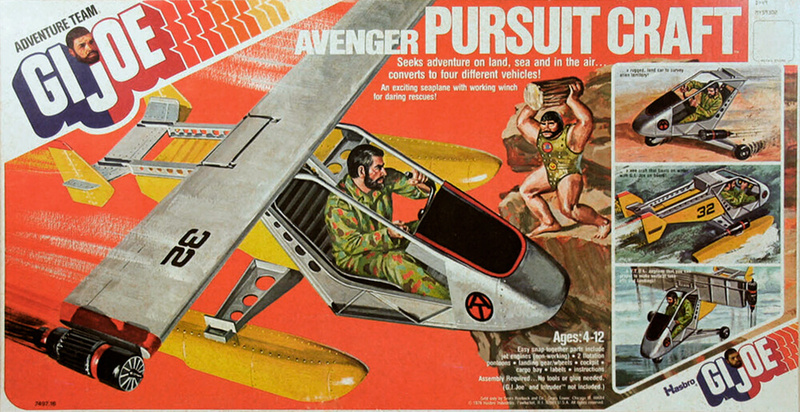 The GI Joe version of this vehicle was the 'Avenger' Pursuit Craft, and this other name was accidentally left on side two of the hastily converted instruction leaflet L576. 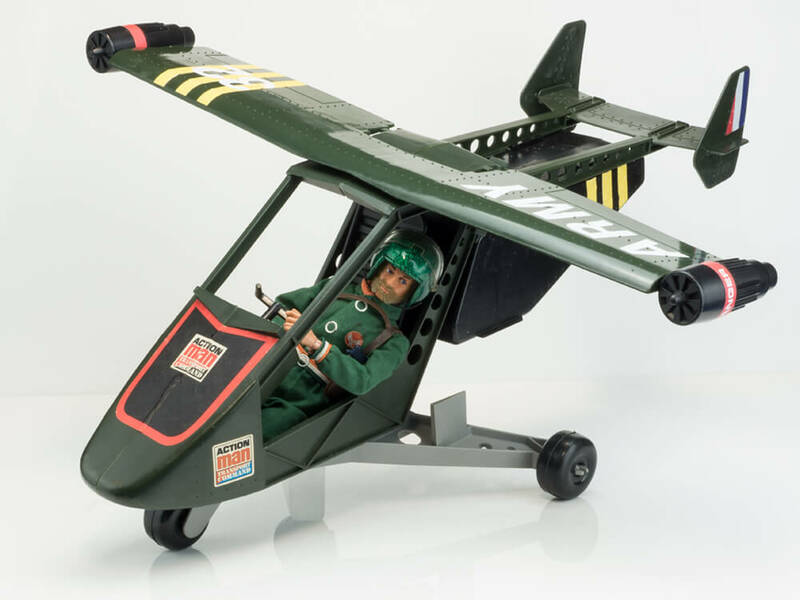 The seat is shared with the helicopter. 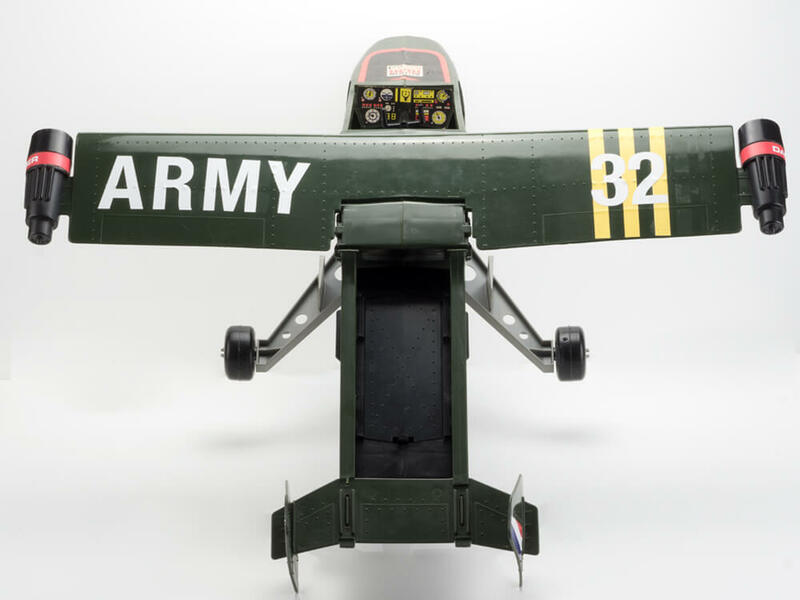 It can be configured as a Land Car, Sea, Craft, Sea Plane, Aircraft and VTOL aircraft. 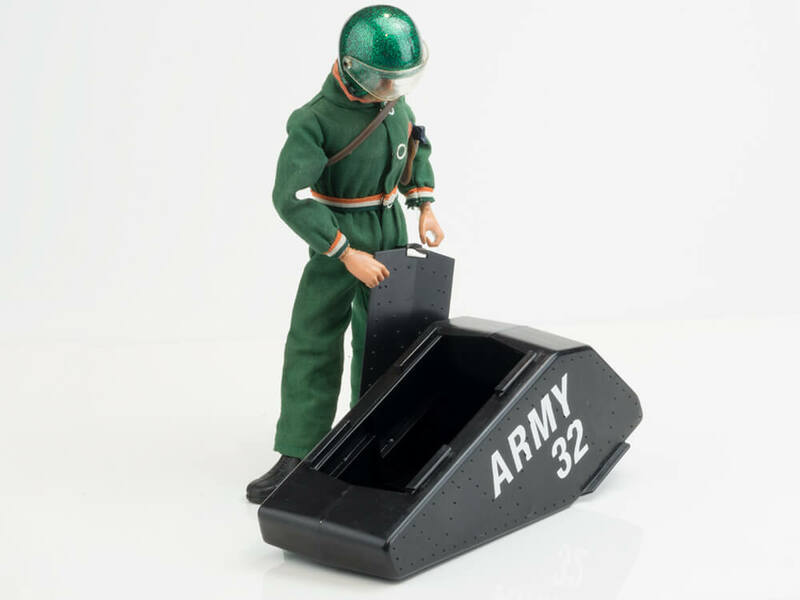 Action Man Pursuit Craft cargo compartment with lid.